THE £110m redevelopment of Northern Ireland’s three largest sports stadiums has been thrown into doubt after a legal challenge claimed that state funding for one of the projects breaks European Union competition laws. 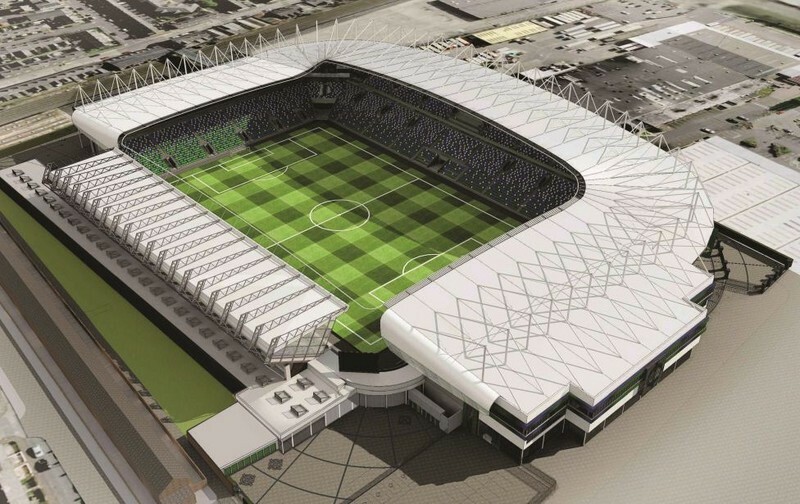 In September 2010 the Stormont Executive abandoned plans for a state-of-the-art sports stadium at the former Maze/Long Kesh prison site and opted instead to redevelop the GAA’s Casement Park, Ulster’s rugby ground at Ravenhill and the Windsor Park soccer stadium. Crucially each of the three stadium developments, which are receiving £110m funding from the Department of Culture, Arts and Leisure (DCAL), are interlinked as part of the overall funding venture, meaning that none of the three projects can proceed without the other. Under the redevelopment plans Windsor Park, which is owned by Linfield Football Club, is to benefit from £25m in DCAL grant aid. In February 2013 planning permission was passed in record time for an 18,000 seat stadium, with construction work scheduled to begin in August and be completed by the summer of 2015. However The Detail can reveal that a Belfast High Court has now been asked to immediately block the development proposals amid claims that it breaches EU competition laws. The legal challenge has been launched by Crusaders FC director Mark Langhammer, who claims DCAL’s decision to fund the Windsor Park stadium is in breach of EU fair trade legislation. 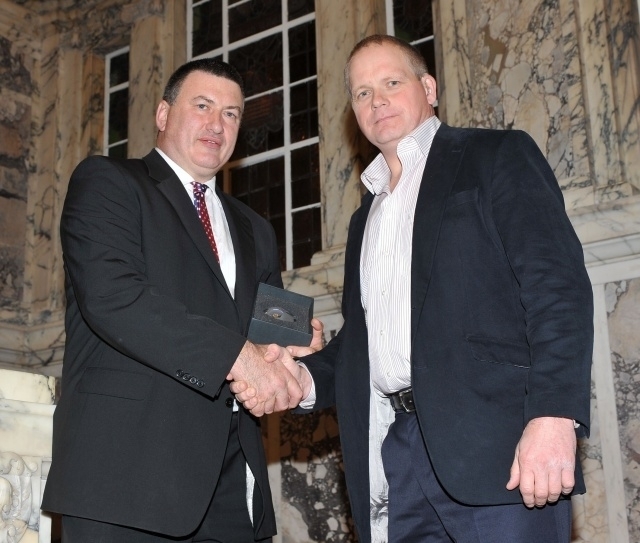 “This expenditure represents a significant benefit to private undertakings – the IFA and Linfield Football Club,” Mr Langhammer has stated in a sworn affidavit to the court. “The IFA has further entered into an agreement with Linfield Football Club to pay a substantial ground rent once the ‘national’ stadium is built. “The said rent constitutes a significant advantage to a club that already holds a dominant position in the Irish League and regularly plays in cross border and European matches. The legal challenge claims that Linfield FC will benefit from estimated annual savings of between £150,000 and £400,000 in terms of rates, utilities and maintenance and will also receive up to 15% of gate receipts from international matches held at the new stadium. Under existing proposals Linfield will be permitted to have offices and a shop at Windsor as well as playing its first team competitive games and some friendlies at the stadium. The court has also been told that the IFA, using public funds, will also meet all operational costs of the stadium and pay Linfield around £200,000 per annum rent for the stadium. The Crusaders’ director claims that under the European Union’s Treaty of the Functioning European Union (TFEU) legislation, individual governments are not permitted to provide financial interventions to support individual companies which leads to an unfair trading advantage. Member states are only allowed to provide state aid to companies in exceptional circumstances, and only then with the approval of the European Commission. The commission can investigate cases in which member states are alleged to have given unfair financial aid to individual companies and if found guilty, can order that government funding be withdrawn from companies. The affidavit states that DCAL has refused all Mr Langhammer’s requests for an explanation of the decision to fund the Windsor Park development, despite the alleged breach of EU law. “It is my understanding that the Minister and the Department should properly have notified the European Commission of the state aid by submission of notification forms. The Detail asked DCAL for a response to the allegations made by Mr Langhammer in his affidavit to the court. We also asked the department what impact the legal challenge will have on the multi-million pound developments at Casement, Ravenhill and Windsor.